SPRING BREAK!!! Kale Crusaders headquarters does not shut down for spring break, but we decided to celebrate in spirit and go wild with some non-seasonal fruit. 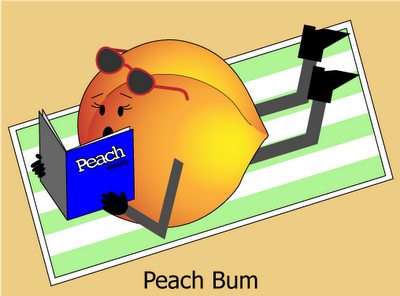 Remember Peach: Party hard, stay cool, and wear sunscreen. P.S. Anthropomorphising stone fruit is difficult. To make life easier, Peach is covered by a strategically placed gossip magazine. The peach and roasted beet salad look delish!